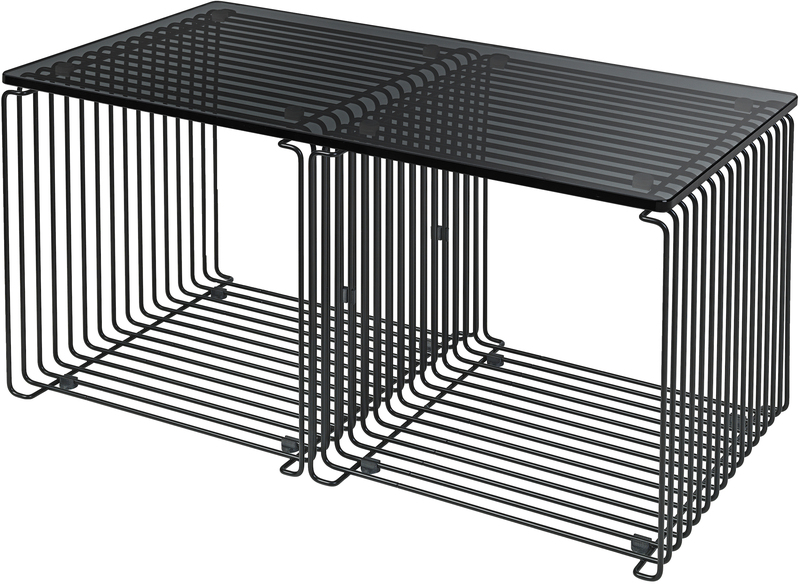 Panton Wire Double allows you to create small tables and magazine racks. It comes to complete the range of Panton Wire Cube and wall shelves. Panton Wire is made of 5mm wire, either chrome or lacquered. Panton Wire Double comes with 4 clips per module for assembly and four legs. The clips are supplied in the same colour as Panton Wire. Placed on the floor, Panton Wire can support up to 40kg.